close× Info message:This event has ended. 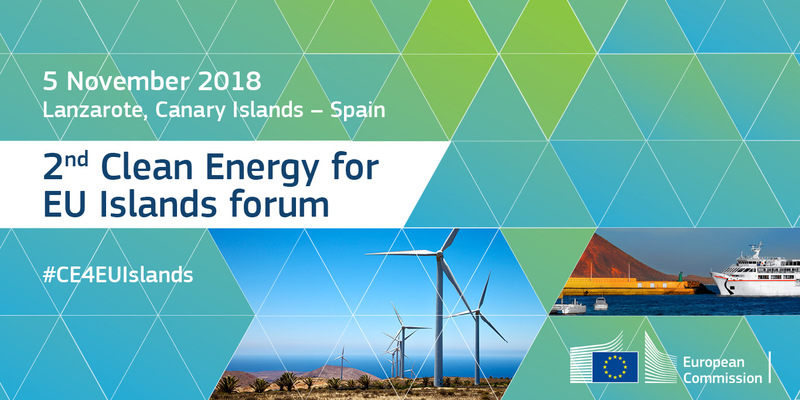 The second Clean Energy for EU Islands forum is organised by the Secretariat for the Clean Energy for EU Islands Initiative on behalf of the European Commission and co-hosted by the Government of the Canary Islands. The forum aims at taking stock of the Initiative's first year, and at presenting the offer of support for islands within the Secretariat's framework. It will feature high level speakers from the EU institutions, practitioners and activists involved in clean energy transition. The forum's target audience are local authorities, citizens' organizations, business and academia. Islands and island regions face a particular set of energy challenges related to their specific geographic and climatic conditions. The role of islands as platforms for pilot initiatives on clean energy transition in the EU and their potential to serve as showcases at international level was explicitly recognised in the Commission Communication on "Clean Energy for all Europeans". The Commission, together with 14 Member States, signed under the Maltese Presidency in May, 2017 the "Political Declaration on Clean Energy For EU Islands" and shortly after launched the Clean Energy for EU Islands Initiative, at the inaugural forum in Chania, Crete. The Initiative promotes the energy self-reliance of islands, encourages the reduction of the dependency on costly imported fossil fuel, and aims to facilitate the delivery of best available clean technologies to islands. The Commission is committed to ensuring that the energy concerns of island inhabitants are at the forefront of the energy transition and are central to policy developments. In support of the Initiative, the Commission in cooperation with the European Parliament set up the Secretariat for the Clean Energy for EU Islands Initiative which has been operational since June 2018. It acts as a platform of exchange of practice for islands' stakeholders and provides dedicated capacity building and advisory services.